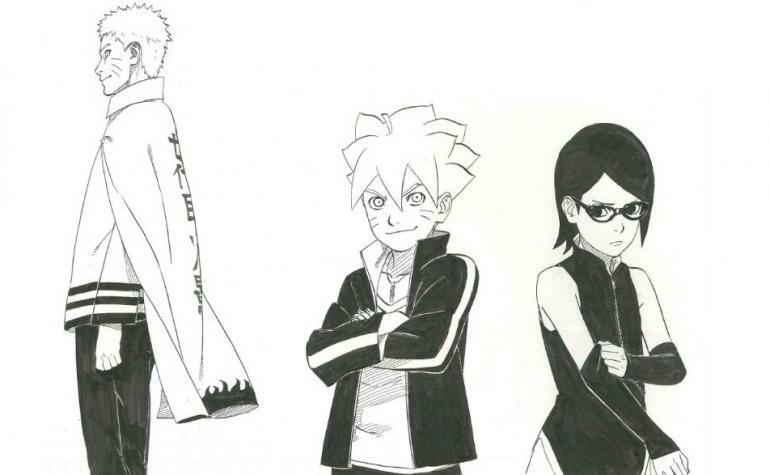 The first chapter of Naruto Gaiden has really left us hanging! I have never seen so many Naruto memes relating to who is the mother. It feels like one big Maury episode and Sakura and Karin need to be tested. Someone should make that meme and I will only request 70% of the cut. Wiping aside the Karin being the mother thing as I personally don’t believe that.. I guess who really knows but Sasuke turning up with a love child on Sakura’s doorstep seems a little unlikely as he is big on family. Sakura would KNOW she is the mother after all. It is quite possible that some of Karin’s chakra fused with Sasuke’s after he repeatedly drew chakra from her to heal. 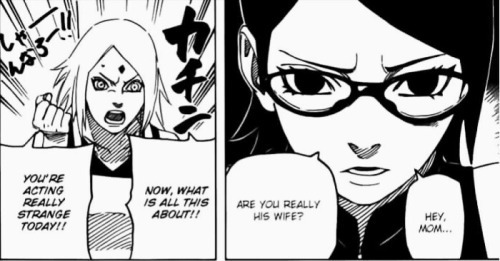 That could have manifested into some of Sarada’s psychical appearance. That wouldn’t exactly be a stretch as Naruto has whiskers from Kushina’s chakra mixing with Kuramas. Even his own children Bolt and Himawari have whiskers. I think if it is anything Karin related it might be that. It seems like something is going on there as Sarada sees the photo at the end of the episode. I didn’t think I would care for her but I do feel kind of sad for her that she hasn’t seen Sasuke and that he has been away all of this time. Obviously that doesn’t surprise me as he is a jerk. It was weird to see Sakura wearing clothing with the Uchiha fan on it although that is to be expected.. I suppose! 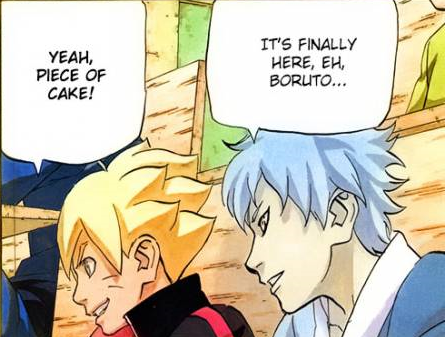 Boruto so far seems to be exactly the same as young Naruto. Hopefully he has a few differences and isn’t just a carbon copy. Lastly who is this? I (and the internet) need to know..